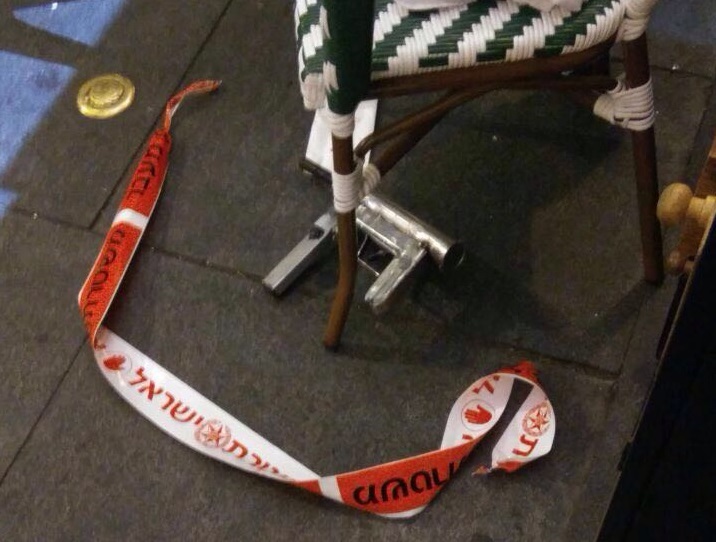 Images of the weapons used in the 8 June 2016 attack at the Sarona Market retail and food centre in Tel Aviv, which resulted in the deaths of four people, indicate that they were craft-produced submachine guns. Weapons of this type are locally nicknamed ‘Carlo pistols’ after the Swedish Carl Gustaf m/45, and the Egyptian made ‘Port Said’ and ‘Akaba’ copies which have seen widespread use in the region. These weapons bear the hallmarks of manufacture to a common design, and are universally blowback-operated, pistol-sized submachine guns which fire from an open bolt and feature a tubular receiver. Many examples show traits of semi-professional, standardised manufacture, whilst others such as those documented in this attack appear to be crudely assembled from various lengths and diameters of steel tubing, with no external finish or and no provision for even basic iron sights. The weapons have increasingly posed a concern to security forces following their seizure in conjunction with a number of terror incidents earlier this year, including an attack on Jerusalem’s Damascus Gate which resulted in the death of Israeli boarder policewomen Hadar Cohen, as well as an earlier attack on the same location. Craft-produced submachine guns of this type are particularly easy to manufacture in a garage or home workshop setting, with limited tools and minimal skill. This presents a clear difficulty for authorities seeking to identify the erstwhile gunsmiths producing these weapons and stymie their flow to terrorists. As a result of their crude construction, such craft-produced weapons often command a significantly lower price tag than their conventional counterparts; however, this low price point and limited access to professionally-produced arms can make them attractive to low-tier criminals, terrorists, and arms dealers. The examples used in this latest attack appear to be particularly crude when compared to other weapons of the same general pattern which have been widely seized in the region. Other similar examples often incorporate parts from other weapons such as magazines and furniture. As indicated by CCTV footage, at least one of the weapons appears to jam prompting one of the attackers to abandon it, reinforcing that low-quality examples such as this are especially prone to failures-to-feed and issues with extraction and ejection. For more information on improvised and craft-produced small arms and light weapons, see a forthcoming Small Arms Survey report authored by ARES staff, due to be released later this year.